Updates to Mary K's profile since your last visit are highlighted in yellow. Most years I had the good fortune to be an “at home mom”, so grateful to have been able to spend the growing up years with our 2 children. Later, for a few years, I was employed as a travel agent with AAA of Oregon in Portland. I thoroughly enjoyed the perks of worldwide travel. The most memorable were Israel and Jordan, Kenya, New Zealand, Australia and Tasmania. Cruises to Alaska, Caribbean, Panama Canal. Many European destinations as well. It was truly a grand time in my life and so great to have such opportunities to travel. Now, as a retiree living in South Florida, I am content with staying fit by exercising and cycling and I am an avid reader and sewist (I love to create quilts, both traditional and modern). I am no longer a “Harley Momma” (I have accrued many, many miles and hours on the back of dear Harley), but the time for 2-wheeled adventures across the USA has come to a close. My husband, of more than 50 years, is still an enthusiast and gets in as many day trips as he can make time for. Florida allows for more good riding days than did the PNW. Mary K Steadham Landry changed her "Now" picture. 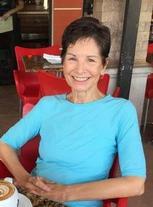 Mary K Steadham Landry updated her profile. View. Mary K Steadham Landry has a birthday today.